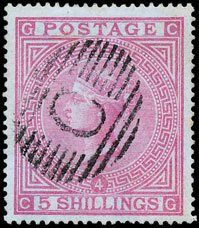 This auction once again proved how popular original, “old time” collections can be, when offered intact. 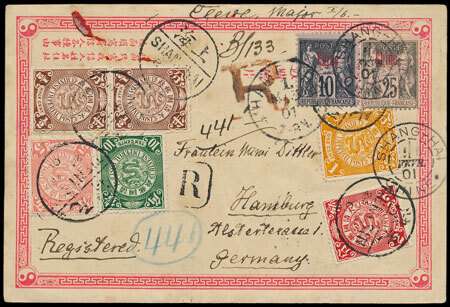 A Superb collection of British stamps used abroad, with Crimea war covers (see our latest news) as well as India and British Forces in the furthest corners of the Empire, was eventually knocked down for £6490, far in excess of the £1200 estimate. 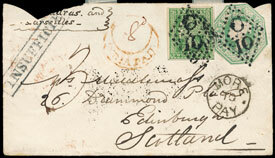 From the same stable, a collection of British Post Offices in Turkey, including some stunning pieces described as ‘Exhibition Standard’ material, realised £5664, from an estimate of £2000. 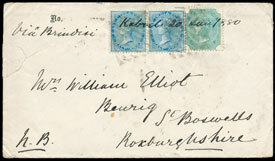 An interesting selection of cards from the Chinese Boxer rebellion period, all posted to Hamburg by a Major Cleve, predictably attracted considerable interest, and realised £944. 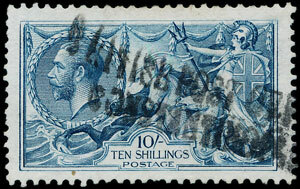 There were a number of choice “SPECIMEN” overprints offered amongst the Great Britain and British Commonwealth sections. 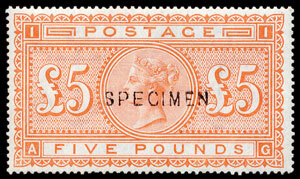 The pick of the bunch was an example of the always popular Great Britain 1867-83 £5 orange. 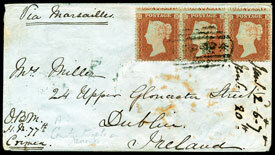 “SPECIMEN” overprints tend to be regarded as “poor relations” by many collectors, but this superb unmounted mint example realised £2950. 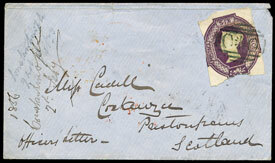 The early issues of British Guiana are, of course, regarded as some of the great classics of philately. 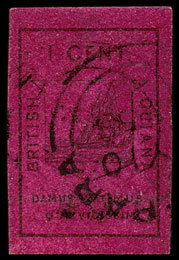 This auction featured an unusually fine used example of the 1852 1c black on magenta. These issues normally always have some facial rubbing, and other faults. 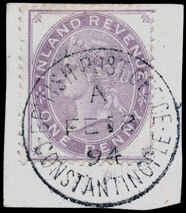 But this unrubbed, large margined example fetched £1829.